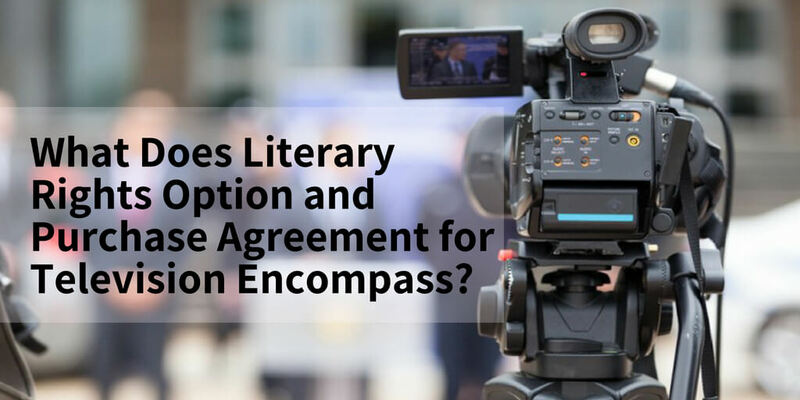 What Does Literary Rights Option and Purchase Agreement for Television Encompass? Often, television programming involves original teleplays or telescripts licensed from third parties and not copyrighted works. Nonetheless, if the work is copyrighted, both seller and buyer should be mindful of several salient factors including but not limited to the option period, the option amount, the option commencement date, option extension, the purchase price for the right, the amount of profits, the type of profits (net or gross), the ownership of rights, among others. Let us further educate ourselves on such salient topics, to SOME extent. Often, literary works have an option period for one year. Nonetheless, the one-year period is not set in stone. The option period could be as little as three months if the work has already been sold to a network. Not surprisingly, this is also very much possible for the option period to be for two or more years, as the work needs to be shopped around. Nonetheless, it is rather customary for producers to agree to one-year period with additional options to extend, if necessary. Owner usually desires to grant the lest option period. The producer, buyer, usually desires to have the exclusive right to the literary work for the longest possible period to shop around the work to various networks. A prudent feasible compromise could be to grant an extension if the producer is in serious negotiations with a network. Owner should ascertain if the literary work has not been sold in a year or so, the chances it of ever being sold, with that particular producer, are not reasonably very high. Owner should receive 10% or so of the purchase price as the option amount. The 10% is often negotiable depending upon the stature of the owner and the subject matter, among other factors. It is noteworthy, producers might attempt to receive the whole option free contending they are expending money, time and expenses to have the literary work sold. However, such contention is unreasonable especially if the owner and producer have already negotiated and reduced the option amount taking into consideration all such costs and expenses. It is salient to note the first purchase payments are usually counted towards the purchase price while subsequent payments are not. Nonetheless, this arrangement is not set in stone either and subject to negotiation. The other important note is to discern and identify the start date of Option. Is it when parties first start formally discussing the option? Is it when parties first start exchanging drafts of the contracts? Is it when the parties execute the agreements? Although this is negotiable and could vary based on the negotiating strengths and weaknesses of the parties, it is often the case the commencement of the option is the date of the agreement. In fact, a popular work from a well known author with loyal fans to be exploited in a prime time slot on a formidable network is worth at least several hundreds of thousands of dollars. On the other hand, a work lacking most or all of the enumerated attributes might be worth a lot less. It would be hard for producers to obtain publishing rights as such rights might conflict with the rights already bestowed upon third parties. However, merchandising could be bestowed granted to producers, again subject to negotiation. This article neither supplants the analysis nor craftsmanship nor sophistication and complexities involved in drafting a Literary Rights Option and Purchase Agreement. In fact, every contract, to a great extent, is unique given the financial strength, needs and the circumstances of the parties involved. ‹ What Does Quiet Title Action Encompass?